Have You Been To This Rooftop Eatery In Mumbai's Mini Goa? A rooftop in the small locality of Orlem in Malad West is Mangoes – located atop a residential building. Open-air modest seating overlooking the neighbourhood besides a small kitchen that dishes out Mangalorean and Goan preparations sounds like an apt setting for a peaceful meal to us. A little difficult to locate, Google maps will direct you to a particular spot when you search for Mangoes. Once there, you’ll have to crane your necks to spot a board that says Mangoes. Follow the signs and go right up on the roof. Don’t worry they have a lift. Climbing stairs to work up an appetite ain’t such a bad idea either. Eating at Mangoes will make your tummy, soul and wallet happy in equal measures. The highlights on their menu are juicy pork chops (INR 210), beef steak (INR 250), Goa sausage pulao (INR 190), and beef tongue roast (INR 250). They are also known for yummy seafood and serve the entire range from prawns to squids, to Pomfret, shark, crab and surmai. 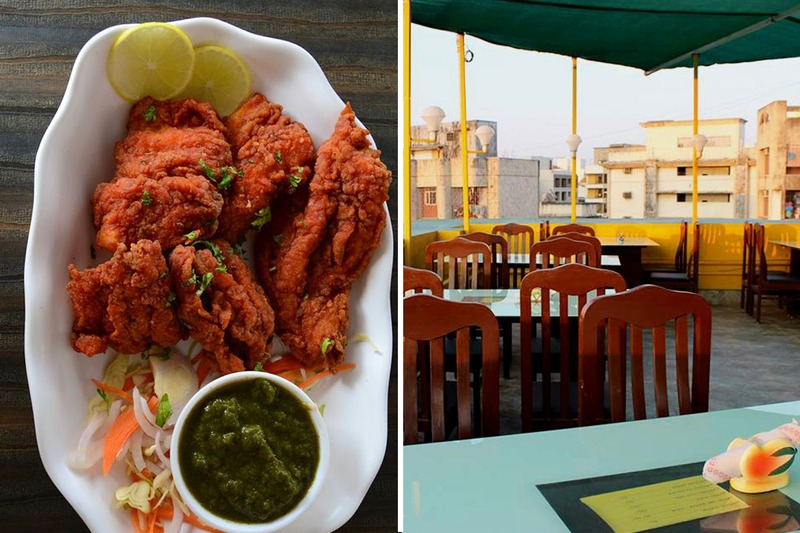 Did we mention their chicken xacuti (INR 250) and vindaloo (INR 250) are worth it too? And then they also have thalis with chicken, pork, fish, beef, vegetarian and Chinese variants, all priced at INR 300. Isn’t that making you hungry already? Barring Monday which is an off day for this eatery, they are open till 11.30 PM. In case it’s raining outside and you’re craving their food, don’t hold yourself back because one, they continue to do home deliveries, and they will soon have a shelter. Relishing authentic Goan food sitting on a breezy rooftop is definitely a thing to look out for in this otherwise noise and bustling city. Disclaimer: For all beef preparations, the restaurant uses buff meat. For any further clarifications, you can get in touch with them directly.